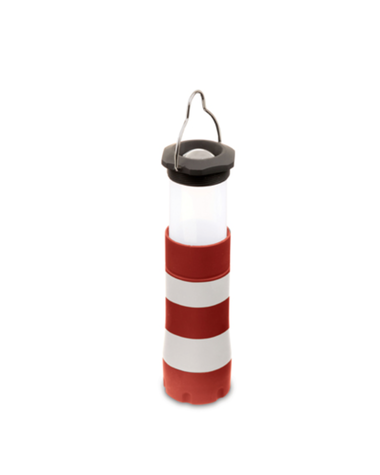 Add a little fun to your utility drawer with our lighthouse shaped flashlight and lantern. 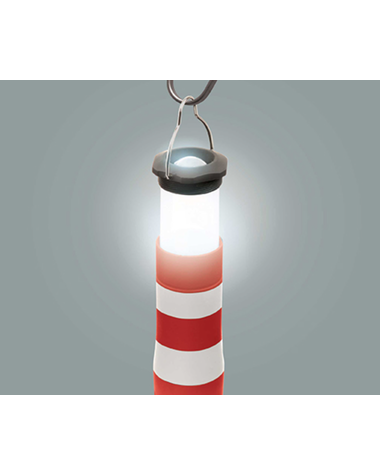 The light is equipped with a hanging hook, so you can put it up anywhere you need a little extra light or use it as a traditional flashlight. 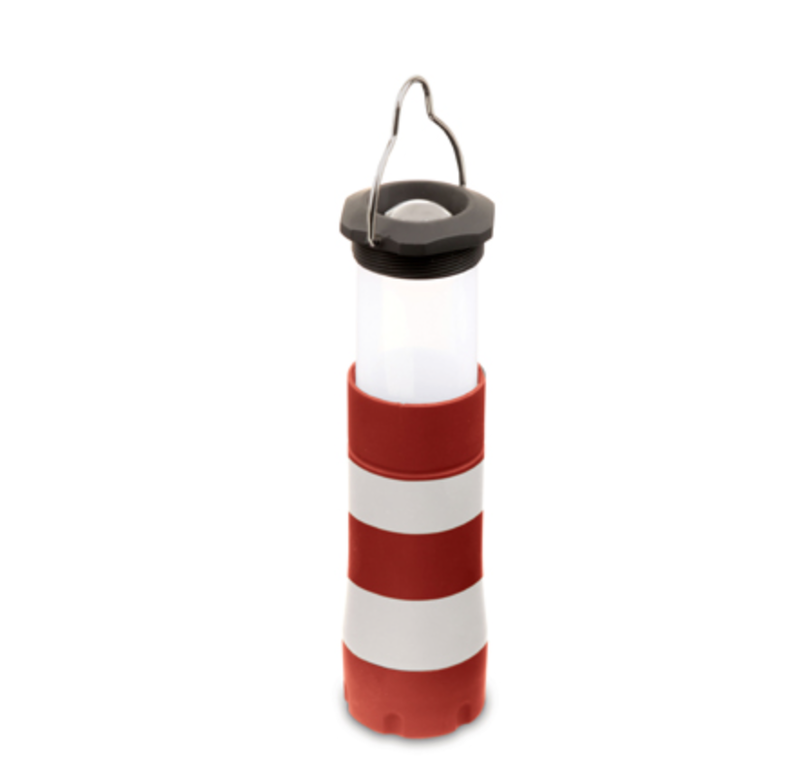 The light measures 5 1/4" x 1 1/2" x 1 1/2" so it will fit easily in your boats glovebox or utility drawer. 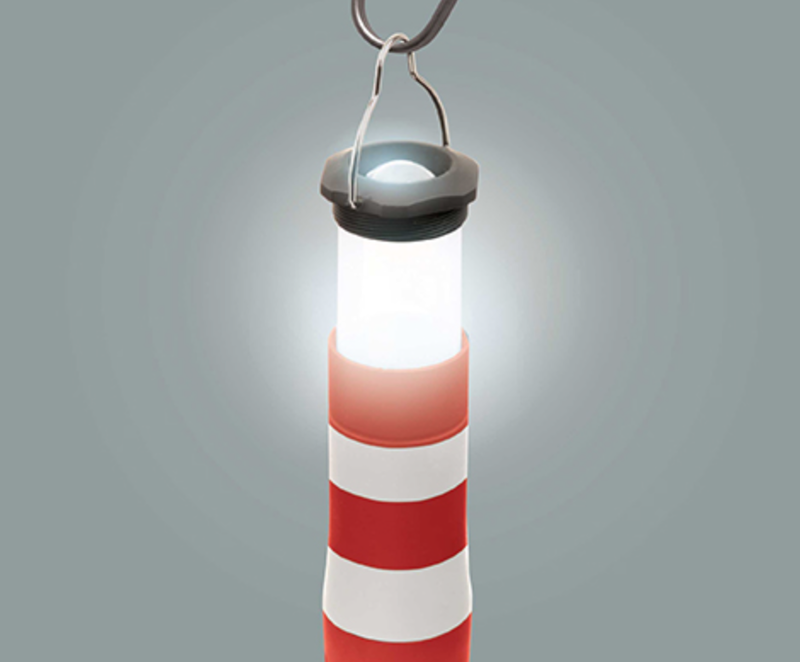 The super bright LED light will guide you, even in the darkest conditions. 3 AAA batteries (not included).